Balancing honesty and privacy can be a bit tricky for any of us. But even more so when your dad is the well-known pastor, John Piper. 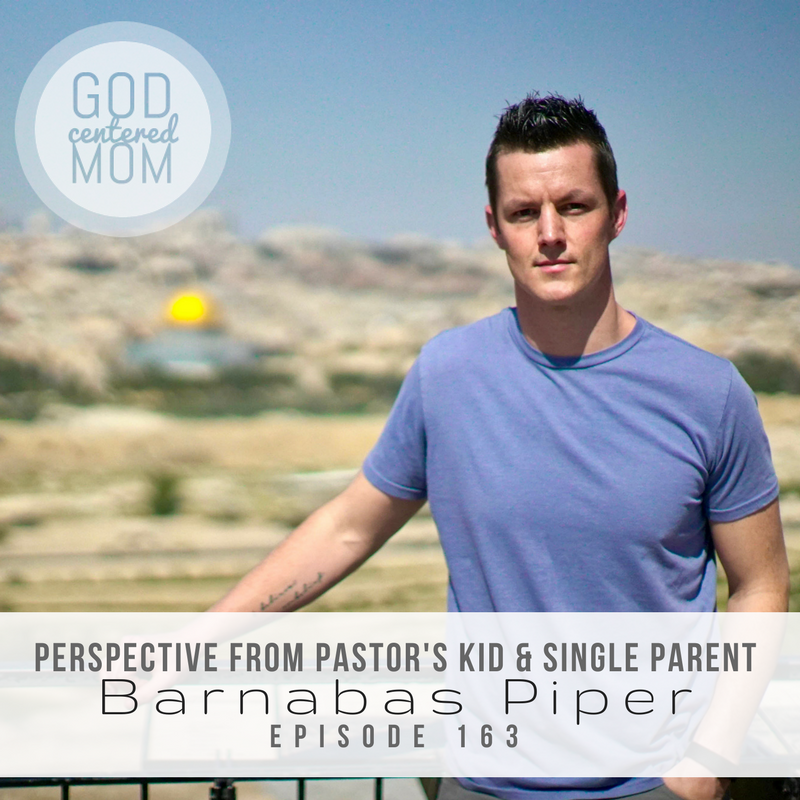 This week I’ve invited Barnabas Piper on the show. Recently he and I traveled with a group to Israel. While touring sites, riding the bus, & sharing meals I gained an appreciation for Barnabas’ unique experience and perspective. In this episode we cover three main themes: life as a pastor’s kid (which he wrote about in his first book), grief from a marriage ending, and intrigue about Israel’s political situation. Barnabas shares helpful tips on managing family devotionals (especially if dad is a pastor). He also lays down a challenge to dads about doing dad things (without expecting praise). Lastly, he and I recount the Middle East “insider insight” we gained during our Israel trip (and how it applies to parenting). How a pastor’s family’s should approach family devotions. What does “time in the Word” look like with his girls. The grief of Barnabas’ recent divorce. The balance of honesty and privacy. The hardest parts of being a single parent. What we learned from Israeli military strategist, Elliot Chodoff. Thoughts from an Arab-Muslim Journalist about Palestinian conflict.